Live For Today Foundation hopes to constantly inspire our members physically and mentally, and they all reached great heights at the Edge Rock Gym. Although only a few members had attempted this exhilarating activity before, rock-climbing was a fun and different way to exercise, challenging many of the members to push themselves higher and higher. 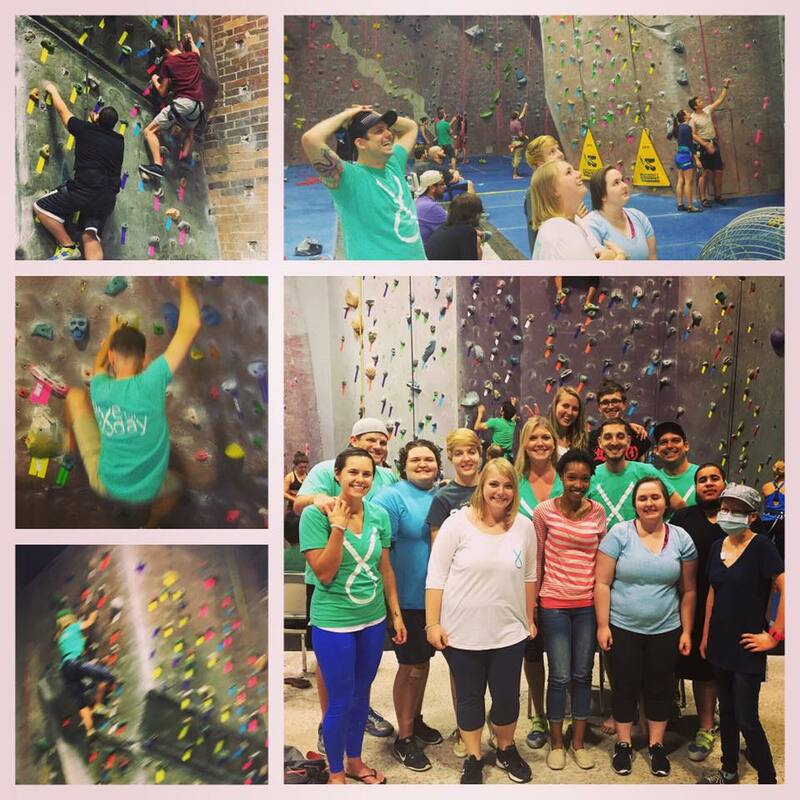 After getting settled in and learning how to safely participate, the members harnessed up and began climbing up the large rock walls and bouldering walls. One of our members, Ryan, is a seasoned climber and guided many of our members to reach their goals. While many members reached great heights, others cheered words of encouragement down below. After everyone had finished climbing, all the members gathered together to enjoy a healthy meal and quality time with each other. Overall, the experience was full of zest for life and created a space for our community to thrive. Live For Today members found the courage to climb rock walls, but we already knew how brave they all are, since they climb mountains every day. Interested in supporting our healthy living program?